SSC GD Constable 2018 General Awareness is most important for all Indian Job aspirants. 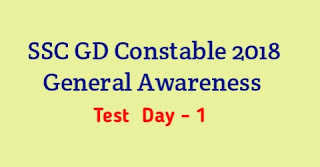 SSC GD Constable General Awareness questions test is below here. We know, most of the students are waiting for this exam and already start practice. 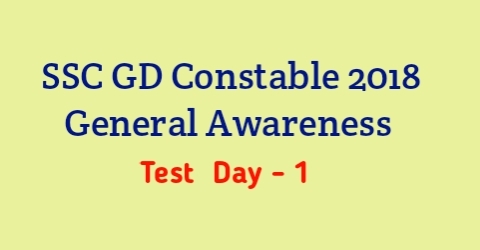 GK Solve arrangement Regularly SSC GD Constable 2018 General Awareness Questions test here. So this is very helpful to your preparation. Which one among the following animals is a mammal? Computed Tomography scan is done by using which rays? Which one among the following diseases is not caused by polluted water?